Martin Townsend reviews the new Duckworth Lewis album "Sticky Wickets"
Colin Somerville reviews the second Duckworth Lewis album "Sticky Wickets"
The Independent's Kevin Harley reviews the latest Duckworth Lewis long player. Molloy Woodcraft reviews "Sticky Wickets" for The Observer. The Mail On Sunday reviews the new Duckworth Lewis album "Sticky Wickets"
More tall tales and ripping yarns from cricket-loving Irish duo: Adam Sweeting talks to Messrs Walsh and Hannon. The Telegraph takes a look at the new Duckworth Lewis album "Sticky Wickets"
Neil Hannon and Thomas Walsh of the cricket-loving band explain the sport’s rudest terms. 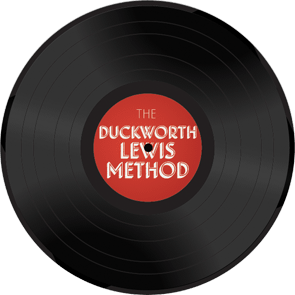 Lauren Murphy of The Irish Times takes a look at the new DLM album "Sticky Wickets"
John Meagher reviews the new Duckworth Lewis album "Sticky Wickets"
Chris Wasser has a chat with Neil and Thomas of The Duckworth Lewis Method. 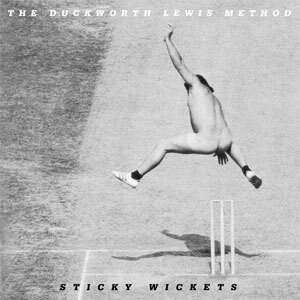 The Velvet Onion's didymusbrush takes a look at the new Duckworth Lewis album "Sticky Wickets"
Dave Tindall talks to Neil Hannon and Thomas Walsh from The Duckworth Lewis Method about their new cricket album. Scott Oliver from LeftLion talks to Messrs Walsh and Hannon about all things Sticky Wickets. The Independent's Andy Gill reviews the new Duckworth Lewis album "Sticky Wickets"